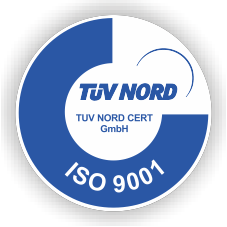 All Skrivanek’s services and internal processes are subject to strict guidelines, which are also certified in accordance with the Quality Management System 9001, the Translation Standard 17100, the Environmental Management System 14001 and the Information Security Management System 27001. In this way we ensure that we are able to consistently offer high quality and maximum data security to our clients. Since the end of 2011 Skrivanek has also been certified according to the international Environmental Management Standard ISO 14001:2015. For Skrivanek, sustainability and conservation of resources are more than just a matter of personal attitude. Skrivanek considers this to be a task for society as a whole, which affects not only every individual but also every company. In the case of the ISO 14001 standard, the environmental goals and processes are first defined, then integrated by each employee in their daily work, and thereafter monitored regularly. Skrivanek has also been a holder of the ISO 27001:2013 certificate for information security since 2012. This standard specifies the requirements for the implementation of the best possible security mechanisms in a company. Skrivanek continuously adopts and evaluates its measures to protect its client data. In doing so, we not only rely on the use of the latest technologies but also focus on promoting the awareness and sense of responsibility of each individual employee. 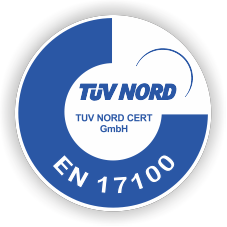 Since 2016 Skrivanek has been certified according to the ISO Standard 17100:2015. This new standard focuses on human and technical resources, on quality management and project management, and on contractual framework conditions and procedures for the provision of services. It specifies the requirements that must be fulfilled by translators, proofreaders and project managers in order to implement our localization projects. This makes it possible to achieve a much more objective quality assessment and to consistently guarantee high-quality translations. If you would like to find out more about our maxim for our quality and environmental management system, you are welcome to download our policy for the years 2017 to 2019. Details of our information security policy for the years 2016 to 2019 can be downloaded here.